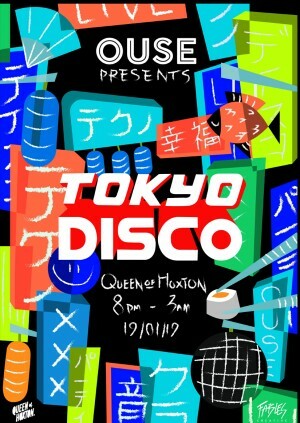 It gives us great pleasure to announce the 3rd installment of Tokyo Disco at the Queen of Hoxton for one night only. Featuring bespoke Tokyo style stage production, decor and lighting across 3 rooms this is not your average party. As with all of our Ouse parties we will be taking you through a journey of the musical spectrum with everything from garage to techno. It goes without saying though this will be a very strong disco affair..